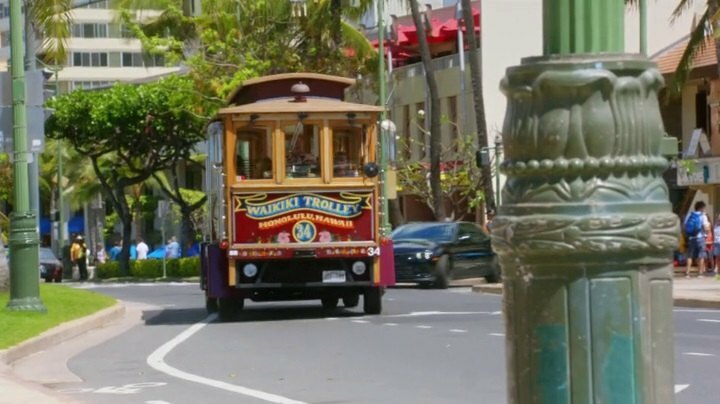 IMCDb.org: Classic Trolley California Street in "Hawaii Five-0, 2010-2019"
Not sure how you should categorise this one. It looks to be a regular modern bus chassis with a trolley bus body on it. Whether the body is very old or a modern replica I cannot say. I rode in something similar in San Francisco in February 2014 but that one had a genuine old trolley car body on it. It was part of the city tour and just covered the section from the Golden Gate bridge to Sausalito.